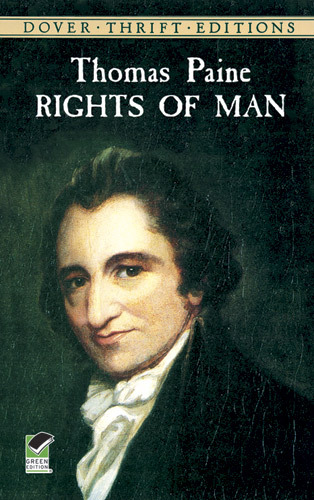 Thomas Paine is a curious character, whose legacy is hard to assess. But perhaps this is why it is all the more important to (re)read him. His difficulties, ambiguities, and ambivalences, in the midst of the eighteenth-century “Age of Revolutions,” may resemble our own in what are at first sight rather less revolutionary times. But perhaps our times are every bit as revolutionary as Paine’s: he spends much of his celebrated Rights of Man reporting back from abroad; and we are also faced with upheavals elsewhere (from Syria to Venezuela, Egypt to the Ukraine) that give rise to divided opinions and uncertain allegiances. The first part of Paine’s book is, after all, given over mostly to a stinging attack on Edmund Burke’s critical account of the French Revolution. For Paine, Burke provides more fiction than fact. Specifically, his conservative opponent concocts a kind of moral drama full of “theatrical exaggerations” and “poetical liberties [. . .] omitting some facts, distorting others, and making the whole machinery bend to produce a stage effect” (23-4). In response, then, Rights of Man provides a rather soberer description of recent history, stressing the “cool deliberation” characterizing the creation of a National Assembly (60) and its lack of “mean passions” or vindictiveness against its enemies (64). Indeed, if anything, Paine rather downplays the novelty of the revolution itself, framing it as the logical result of a prior collective prise de conscience: “The mind of the nation had changed beforehand, and the new order of things has naturally followed the new order of thoughts” (51). Yet it is not as though Paine himself were above playing to the gallery. 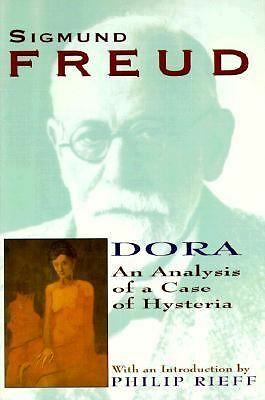 This book was originally a pamphlet (two, in fact) that sought–and achieved–high circulation thanks as much to its witty ripostes as to its patient explication. Paine shows himself a master of rhetorical and literary figures, from metaphor to hyperbole: Burke, for instance, is described as “mounted in the air like a balloon, to draw the eyes of the multitude from the ground they stand on” (35); his discourse is discounted as “a wild unsystematical display of paradoxical rhapsodies” (35). And yet there is something rhapsodical about Paine’s text, too, and unabashedly so. Indeed, in part two Paine relishes the popular success of the first part of his tract (“I suppose the number of copies [to have been . . .] not less than forty and fifty thousand” [100-1]) and then immediately takes the opportunity to make a pun on Burke’s charge that it should be subject to “criminal justice”: “it must be criminal justice indeed that should condemn a work as a substitute for not being able to refute it” (101). In short, the Rights of Man is infused throughout with a sort of glee–one might even say jouissance–that might be thought to undercut the emphasis it otherwise places on the triumph of reason. It helps of course that Paine feels he is very much on the right side of history. The problem with Burke, he claims, is not so much his failure to understand what was going on in France (or America) as his insight into the implications for England: “He writes in a rage against the National Assembly, but what is he enraged about? [. . .] Alas! It is not the Nation of France that Mr Burke means, but the COURT; and every Court in Europe, dreading the same fate, is in mourning” (88). Paine, meanwhile, takes the same revolutionary events to indicate that “spring is begun” (196), that we are promised “a new era to the human race” (106), and goes so far as to venture that he does “not believe that monarchy and aristocracy will continue seven years longer in any of the enlightened countries in Europe” (102). “The present generation,” he tells us, “will appear to the future as the Adam of a new world” (191). Sadly, perhaps, Paine’s enthusiasm is not exactly borne out by events. He himself would go on to be arrested (and very nearly executed) by the French. And one wonders what he would make of his glowing account of American Exceptionalism now. But what kind of revolutionary was Paine? Given that he seems to think that the main burden of government (corrupt or otherwise) comes in the form of taxation, he could easily be read as a forerunner of the Tea Party or other right-wing libertarians. At the same time, he also seems to believe in a kind of basic sociability or commonality promoted by everyday interaction and habit (as well as trade). And yet he spends much of part two of his book coming up with a rather detailed plan of how to redistribute surplus tax revenue (once the monarchy and privileges of landholders have been abolished) that sounds much like the foundation of what could almost be a welfare state: in place of large monopolies of land, pensions and child benefit. In short, one might even believe that Paine was not only as rhapsodical but in some ways as paradoxical as Burke, as he see-sawed between calls for less government on the one hand, and on the other comprehensive proposals that would bring on more government. The new era that he proclaimed combines both the right to revolt, the refusal to be weighed down by tradition, and also the beginnings of biopolitics, the ever more insidious advance of power relations within the population. I wonder, however, about the effectiveness of this riposte. 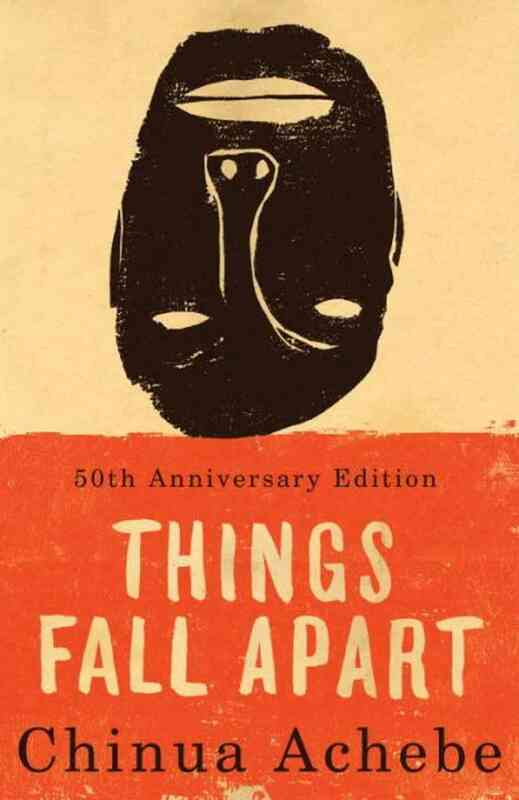 Not least because Things Fall Apart reads as an extended obituary to a vanished way of life and as such mimics a quasi-anthropological perspective on colonized cultures. 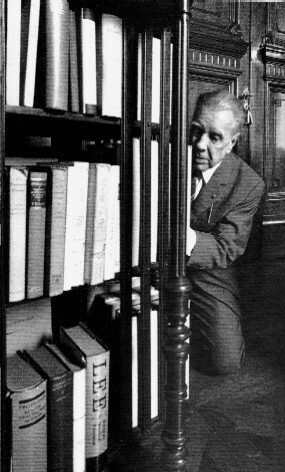 However much Achebe wants to distinguish himself not only from Conrad but also from the colonial District Commissioner who features at the book’s conclusion as a would-be ethnologist contemplating writing a book to be entitled “The Pacification of the Primitive Tribes of the Lower Niger” (209), he sustains rather than undermines the tropes that enable such Eurocentric visions. Achebe’s novel is certainly obsessed with mourning and death: both the ultimate suicide of its protagonist, Okonkwo, a strongman in an Ibo village called Umuofia, and the vanishing of the precolonial customs and structures with which Okonkwo’s demise is associated. Okonkwo is an ambitious striver, whose rash actions lead first to his exile from the community and later to his killing himself (an unholy action) as he realizes that resistance to cultural invasion is apparently futile. But this has already been foretold: towards the end, after a convert interrupts a ritual performance and unmasks one of its participants, we hear that “the Mother of the Spirits walked the length and breadth of the clan, weeping for her murdered son. [. . .] Not even the oldest man in Umuofia had ever heard such a strange and terrible sound, and it was never to be heard again. It seemed as if the very soul of the tribe wept for a great evil that was coming–its own death” (187). We are, I think, to share in this sorrow, and thus to condemn the coming of the colonizers. But such lamentation is a typical feature of colonial discourse itself, which regularly mourned–and continues to mourn–the destruction of indigenous practices and lifestyles for which it itself was and is responsible. From the cult of the “noble savage” and The Last of the Mohicans to the fascination towards supposedly uncontacted tribes from Amazonian Peru to the Andamans, imperial powers have always professed ambivalence towards the consequences of modernization and/or development. But this mourning is expressed so as to suggest that these are the inevitable victims of a progress that is unstoppable, the price we pay for so-called civilization. At the same time, the anthropological lament tells us that as soon as the pristine authenticity of the indigenous is compromised, they cease to be (really) indigenous at all. Hence, it is not only no use trying to save the victims of colonization: in that as soon as we know of them they are irredeemably transformed (acculturated, inauthentic), it is not worth saving them either. Perhaps the success of Achebe’s book, as no doubt (and by some distance) the best-known and best-selling novel written by a black African, is due to its playing into precisely this colonial fantasy. It helps that its narrative is set in some rather vague and imprecise past: the Ibo are presented very much as people without history, whose way of life is perpetuated through constant repetition undergirded by folk memory. As the colonizers arrive, inducing a “terrible sound” never heard before and “never to be heard again,” this is the eruption of a new mode of temporality into an otherwise relatively static (at best, cyclical) way of life. Okonkwo then has to die, in a foolhardy act of useless resistance, because his life is unimaginable after the taint of Western corruption has come. In fact, however, the Ibo (now usually called Igbo) have had a rather more interesting postcolonial history than the novel suggests. Indeed, the very notion of Igbo identity is itself largely the product of colonial contact, and led to a dramatic twentieth-century history (not least the Biafra rebellion) in which Achebe himself played a not insignificant part. But this afterlife of the I(g)bo would come as a surprise to a reader of the novel, riven through as it is with an air of chilling finality. And I would argue that this attempt (almost literally) to close the book on I(g)bo culture is as dehumanizing as anything to be found in Conrad or his ilk. For it denies them their human complexity, even as the figure of Okonkwo himself (twice over traitor to his tribe) points indirectly to the mythic dimension of the dream of precolonial purity. For more, see my lecture on Arts One Open. 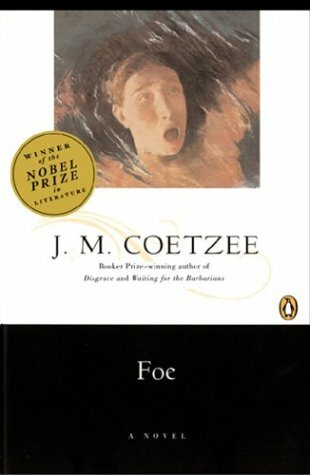 It is not always entirely clear who (if anyone) or what is the tragic hero(ine) in Sophocles’s Antigone, or what exactly is the nature of their tragedy. One might have thought that the tragic figure was the eponymous Antigone herself, but the Chorus suggests otherwise. Their focus, at least as the play ends, is rather on her uncle, King Kreon, who likewise seems to feels the burden of tragedy lies mainly on himself: “No, no! / I’m rising on horror, and horror flies. / Why don’t you hack me down? / Has someone a sword? / I and grief are blended. I am grief” (71). And as for the cause of his downfall, the Chorus has already proposed that “Kreon has shown that there is no greater evil / than men’s failure to consult and to consider” (69). Hence perhaps their conclusion, that “For their grand schemes or bold words / the proud pay with great wounds” (72). And yet Kreon shows little of the complexity and ambiguity that we associate with the tragic hero. For modern audiences especially (but not only), the focus of the play is surely throughout on Antigone, torn between the edicts of the state and the responsibilities of kinship. She is, on the whole, a far more sympathetic figure, even if–or perhaps because–we recognize from the start (as she certainly does) that her principled stand is bound to lead to her destruction. She sacrifices herself for the sake of loyalty to her dead brother, whose corpse Kreon has declared should remain unburied because he died fighting against his own city. But though it may just be true that the Chorus’s final lines are directed at her, too, it is surely a harsh judgment to blame her for “grand schemes or bold words” or to accuse her above all of pride. Or rather, though she has indeed spoken boldly and refused to renounce her pride in familial identification with her kin, to pinpoint these sins seems to miss the mark or misjudge the tone of all that has gone before. We may justifiably feel that the Chorus perhaps hasn’t really understood Antigone, even by the play’s close. Which leaves us with a curious sense of irresolution at the end. One response to this problem is to point out how wrong, perhaps in this play above all, is the common notion that the audience is expected to identify with the Greek tragic Chorus. For in Antigone there is from the outset something discordant and misguided about their pronouncements. That sense that they are somehow out of tune and don’t really understand is palpable at the time, and not merely in hindsight. Indeed, unlike Oedipus the King, this is not a play about hindsight at all–at least not for Antigone herself. She knows exactly what she is getting into, and we do, too, when she declares to her sister, Ismene: “Leave me alone, with my hopeless scheme; / I’m ready to suffer for it and to die” (25). Kreon may not anticipate the results of his ill-thought edict (and so for him it is perhaps a tragedy of hindsight), and the Chorus may be likewise blind to what is coming, but for the rest of us this is a play that holds few if any surprises. We see a woman march, with open eyes, towards her fate. To put this another way, we could say that this is not a play about hegemony. 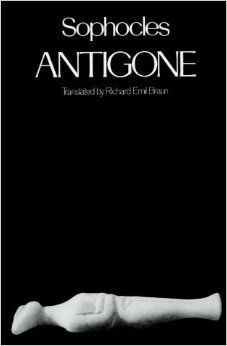 At least, it has to be admitted that Antigone is outside of any hegemonic relation; this is what constitutes her subalternity. But is then Antigone in fact a tragedy of hegemony by default? It is Kreon’s tragedy precisely that he thinks he can institute a hegemonic pact with his citizens? And perhaps the Chorus’s tragedy that they think so, too… and indeed continue to think so to the last, never less than in their conviction that the moral of the story is that rulers should rule with more consultation. 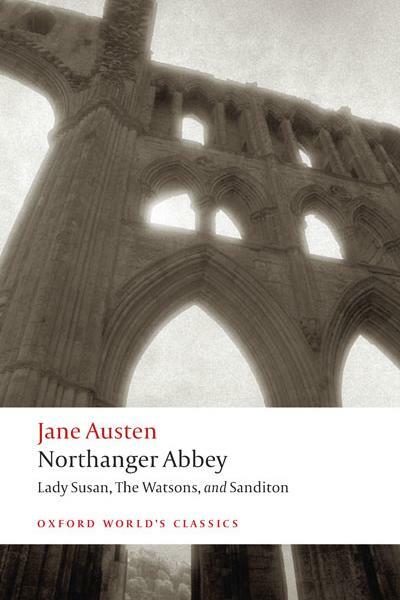 Here, then, is perhaps the source of our distance from the Chorus, our strange sense that their discourse has little purchase on the actions we see unfold before us, little relation to the speeches that other characters make–and that this is the case right from the start and on beyond the play’s closing lines. The tragedy of hegemony is its irrelevance, the way in which it (here, literally) misses the plot and continues to do so.